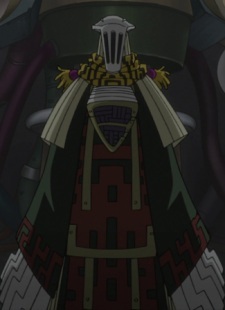 Eibon is an enigmatic sorcerer and former acquaintance, if not friend of Shinigami, who is revered for the creation of numerous Demon Tools, including Brew. As one of the eight Great Old Ones, his "wisdom" and very existence drives men to madness. Known as the "Great Sorcerer," he is the most powerful Sorcerer in the world, was part of the Eight Warlords, and was a former friend of Death himself.